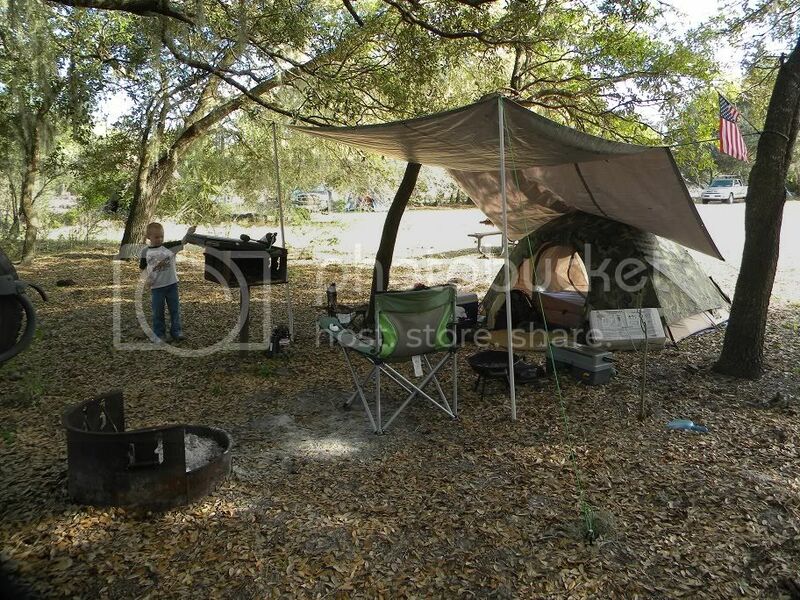 Lately I have been noticing a few of these Eureka made USMC combat tents pop up on ebay and they have me curious. Any of you devil dogs on here have or use them? They seem like a good bit of kit. I am talking about what I think is the type 2. It has a really good rainfly that would double as a tent tarp. For as long as I have been in the army if we were sleeping in any kind of a tent is was either a 10 man with an M1957 stove up in Alaska or a gp Medium or Large out at a training post. Other that that we poncho hooch it. Not a Marine but I've had a chance to handle these two man tents from Eureka. They are extremely heavy duty as well as being heavy for carrying in a pack, close to ten pounds if I recall. If I was able to split the load (tent fly in one pack, floor, netting and poles carried by a second person} or was using it for car camping or was only going to carry it a short distance I would consider it. 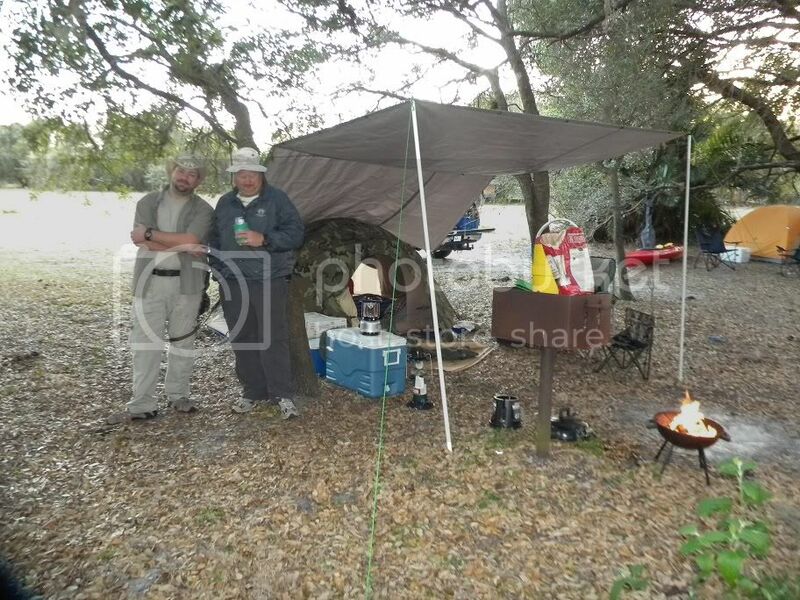 They are made to military spec and the tent fly and poles are much heavier material than Eureka's civilian (and much cheaper) equivalent two man tent. Plus the fly is reversable camo on one side and white on the other and IR non-reflective. If you can find one for $150 or less I would grab it. More than that becomes less of a bargain since you start getting into a range where civilian tents of similar quality are available. I got one about 2 years ago and it is a great tent. It is a heavy tent but built like a tank. My tent is woodland on one side and tan on the otherside. My son and I used it on a car camp that we went on with the FL Kracaneuner Tribe. The boy was 5 at the time so there was enough room for us, but if two grown folk was in it it would be a tight fit. I payed about 150.00 for mine and it was like brand new. I would say it is good for car camping or on a canoe trip but I would not hall it around backpacking. It is a great tent for the other stuff. Here is a couple of pics of it this one is with eagle eyes and saintnick. Ahhh. That was a great trip Lowcard. I didn't realize that was what that tent was. I remembered it looked pretty solid. thanks for the pics! nice to see it in action. Interesting note.......the tent that I was refering too, also made by Eureka isthe one man tent aka ICS 2000 (Individual Combat Shelter). I hve a bid in on one exactly like the one lowcard posted pics of...but it isn'tthe one I want exactly. So if I do win that tent of ebay, I will likely be looking to sell it very quickly. So I guess stay tuned here and or in the classifieds thread. FWIW my first tent was a Eureka. It looked almost identical to the one in the photos, except in civilian colors. That tent is close to 25 years old now and has seen a lot of hard duty. I gave it away but I know it is still going strong with its new owner. I can only imagine how a mil spec tent would be even more strongly built and durable. Best of luck with the bidding, I think you will be impressed with the tent. mine is the diamond brand and its a bomb shelter of a tent ! I also have the diamond brand version. Great tent, but as previously stated, somewhat heavy. The biggest detractor I've found with it is very poor circulation when used with the rain fly. If you use this in rainy weather, or in the south where humidity is high, you're going to be sticky. No problem in dry weather without the fly.